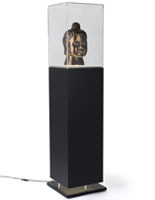 A white pedestal showcase with ambient lighting is the perfect choice for any museum, store, or any place you need to highlight items. 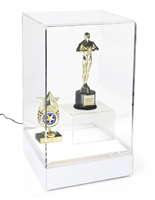 This display case has a clear, lift-off acrylic enclosure to keep contents safe, and free of dust, dirt, and fingerprints. 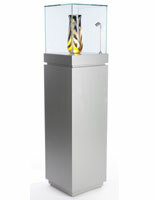 The contemporary design of this square pedestal showcase with ambient lighting features sleek lines and ample space. 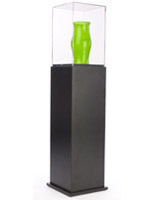 The acrylic top is LED illuminated giving you the option to accent your items. An included removable plug gives you the option to unplug it when not in use. 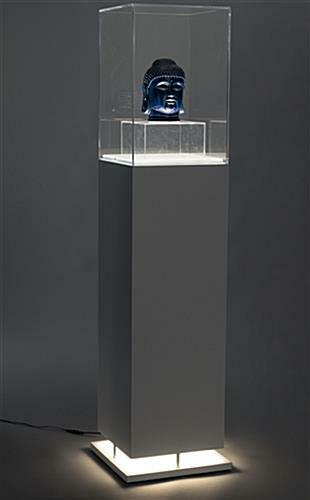 The base of this display case has LED illuminated lights which beautifully spill out around it. 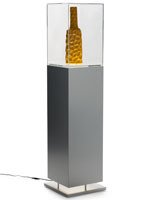 It is easy to see why this pedestal showcase is perfect for your museum or space. The Pedastal Display was excellent! Thanks so much, Ryan! 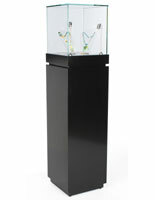 We appreciate your business, and we're glad that you love your new pedestal display case. 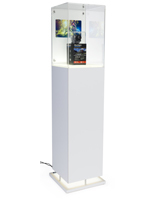 We hope you'll continue to turn to Displays2go for your display needs. Isai, we sincerely apologize that your pedestal arrived damaged. We would like the chance to rectify this for you, and we'll have our customer care team follow up to provide a solution. Thank you for bringing this to our attention. I recieved second shipment today due to the first one being damaged, and once again item is cracked even worser. Posted 3 months ago by Isai M.
Isai, we are so sorry that your replacement arrived damaged. We'll have our customer care team look into this for you and reach out to provide a solution. This lidded vitrine looks great. The lighting at the bottom is very subtle and looks nice in a window at night. The height and size are good. It came perfectly packed and easy to assemble.